MIAMI BEACH, FL. 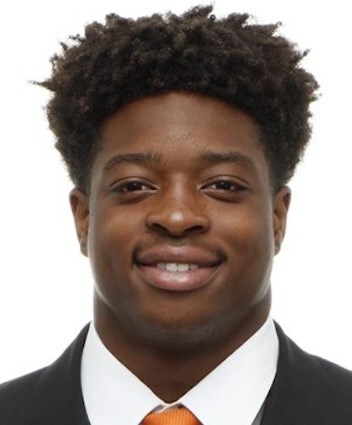 (THECOUNT) — Tennessee defensive back Kenneth George Jr. was arrested before 3:30 a.m. on Thursday on felony charges of battery on an officer and resisting an officer with violence. George, 22, allegedly punched a police officer on the side of the head while resisting arrest garnering misdemeanor charges of resisting an officer without violence and disorderly conduct, according to police in Miami Beach, Florida. According to the police report: officer Denny Hernandez was guiding George toward the sidewalk as other officers attempted to place a violent subject into custody, when George punched Hernandez with a closed fist on the left side of the head and knocked the police radio out of his hand. Hernandez grabbed George and ripped his shirt, but George got away before other officers stopped him. Hernandez suffered three significant cuts on his knees and elbow, reports WDEF. Miami Beach police spokesman Ernesto Rodriguez said Hernandez has been treated at a hospital and released.